So, my boyfriend and I have been best friends for 10 years. We have been on and off for the past 6 years. He has had a problem with heroin for the past almost three years. He has been in and out of jail for months at a time. Now he is facing years in jail for violating his probation by over dosing and not going to probation. I feel better knowing he is safe. But I miss him everyday and now I am working on moving out of the area that we are currently in so we can have a new start when he gets out. We will be almost 30 by that time comes. But it will be enough time to start a family and do all the things that we said that we were going to do. I have never loved anyone as much as I love him. He is my one and only, but it hurts loving an addict. Because when they are caught up in the drug they don't love themselves never mind anyone else. When he gets clean everything comes flooding back to him. Because the heroin gives him a tunnel vision sort of effect and that is all he can see. But now he wants to be clean, and wants to start by leaving the area and starting new. And as if it's not bad enough, my boyfriend's brother is an addict as well. He is worse than my boyfriend and my boyfriend just told me that he is going to cut him out of his life if he doesn't get clean. He is doing very well and I am proud of him. But that fear is there and I think it always will be in the back of my mind of him relapsing. But I hope that things will be good for us. I have faith and love and patience. Hopefully everything works out. Heroin takes over our brain and we do become a different person. It sounds like you've been through a lot of bad stuff with your boy friend, but that you still love him and want to try to make it work with him. Doctors define heroin addiction as a disease of the brain which is characterized by relapse. So, that means, that you're exactly correct when you say that he gets tunnel vision when he is using heroin. He no longer controls his own brain, heroin does. You're also correct that relapse is your biggest fear. To end heroin addiction is at least a two step process. Detox from heroin by not using for at least a month allowing ALL of the heroin to get out of your system. At the same time begin a recovery program to retrain your brain so that you can avoid relapsing. While you boy friend is in jail he will naturally be detoxing, but he won't be in recovery. If he doesn't go into recovery it's likely that he will still be addicted when he gets out, and will relapse. 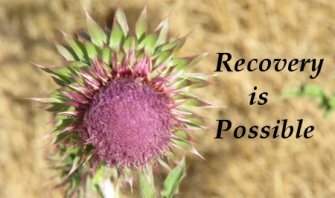 Addiction recovery is a separate process that he must willing to begin if he is truly going to end his addiction when he gets out. You BOTH should be working the 12 step program while he is in jail. He should find an AA meeting in the jail and begin working the steps to move into recovery. To help him with this, you should also begin going to Al-anon and working the steps so that you're both working the steps at the same time. Your continued support of him is likely IMPERATIVE for his recovery, but it's not enough unless your both working the 12 steps.